For most teams, work involves communicating and collaborating with people outside your organization. That’s why over 65% of paid Slack teams use guest accounts — with 15 guests on average — to bring external people like vendors and freelancers onto their Slack team. But just as you keep track of everyone who enters your physical office, the same rings true for guest accounts in Slack. You need to know who everyone is, what they’re working on, and how long they plan to stick around. That’s why we’re introducing two new updates to help administrators manage guests on their teams: time limits and enhanced guest profiles. Admins can already select exactly which channel(s) each guest is in, so they can ensure guests only have access to the people and information that are directly related to their work. Now, we’re expanding these controls by allowing admins to set a time limit for how long each guest’s account should remain active. This way, admins no longer need to manually keep track of each guest and how long they should remain on a team. Two days prior to a guest account deactivating, both the admin who set the time limit and the guest will receive a message from Slackbot. Admins can choose to extend a guest’s time limit using message buttons, while guests will receive information about whom to contact if they need additional time on a project. Guest accounts remain active by default, but admins can add time limits when they invite new guests or manage them at any time from the team site. It’s also now more obvious who is a guest and why they’re on your team right in their Slack profile. Each guest has new profile fields that show who invited them, which channel(s) they’re in, and when their access expires (if a time limit is set). 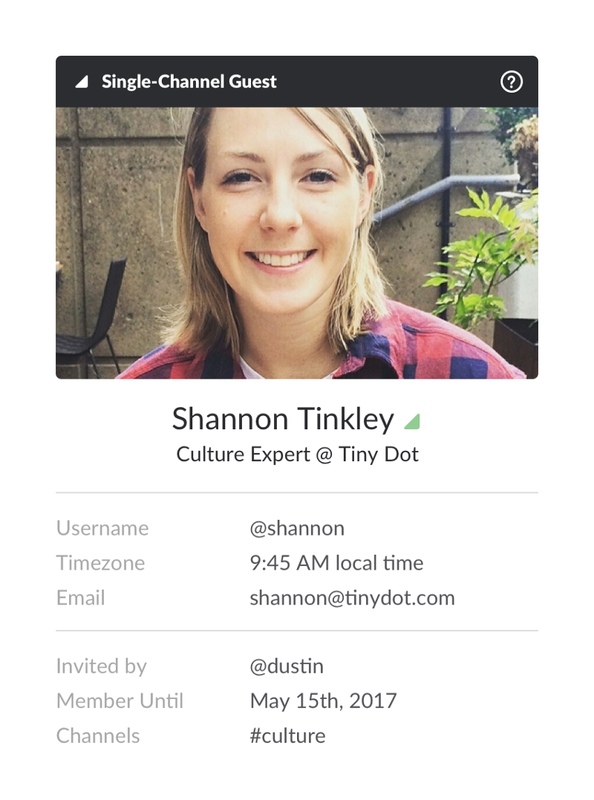 Plus, we’ve added banners over guest profile photos in the Team Directory so you can quickly spot whether someone is a single- or multi-channel guest. 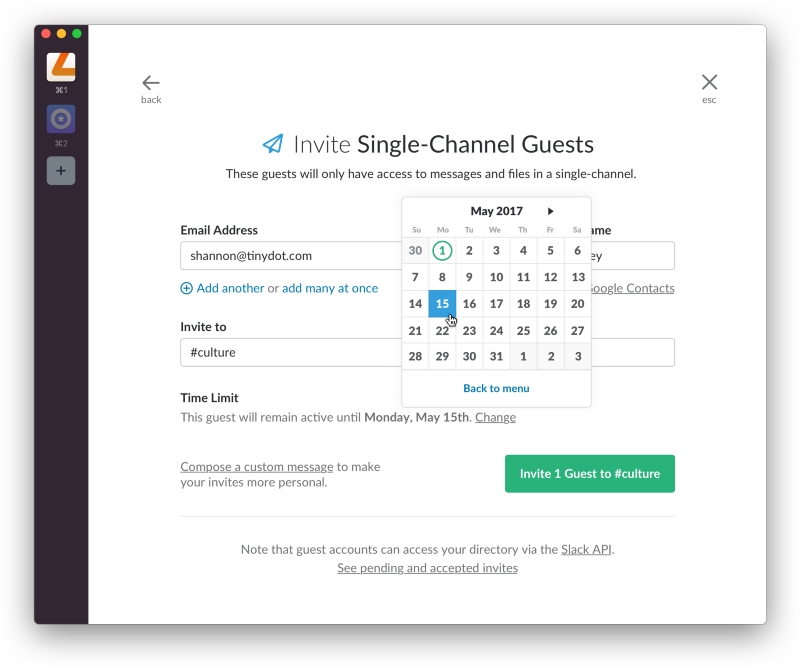 Whether your team already works with dozens of guest accounts or has yet to try them out, these updates reflect our commitment to keep every Slack team secure. After all, guests are lovely, but nobody appreciates one who overstays their welcome. Have questions or suggestions? You can learn more about guest accounts in our Help Center, or drop us a line at feedback@slack.com — we’d love to hear from you.